Our made-to-order Brentwood Armoire features two sections, one with double doors, another with two full extension, soft close dovetailed drawers. Certainly an impressive addition to any bedroom, our Brentwood Armoire is both elegant and timeless. The 2-door Armoire is handcrafted of your preferred hardwood using mortise and tenon joinery. Full extension, soft close slides ensure the drawers of your armoire extend fully and close quietly. 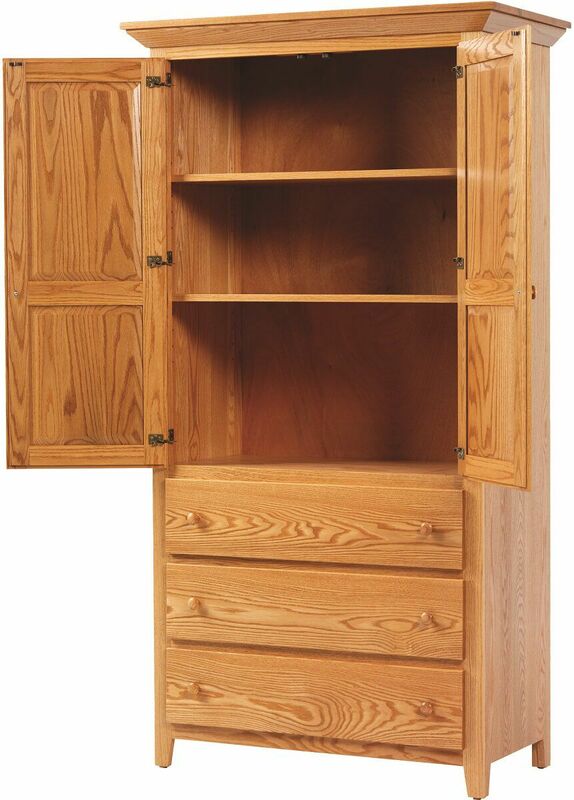 The upper double door cabinet includes two adjustable wood shelves and a hanging clothing rod. Using the options menu, indicate your custom specifications for the Brentwood Oak Clothing Armoire. 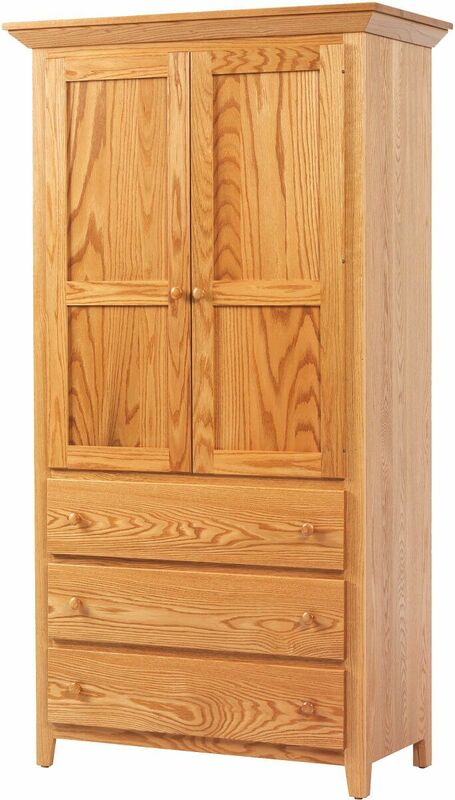 To obtain the pictured look on your bedroom armoire, choose Oak with our Sanibel finish.